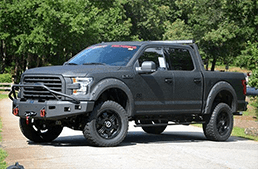 ONLY AUTHORIZED DEALER IN WEST TEXAS!!! 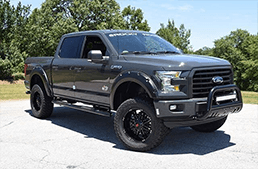 Now that Big Springs Ford has helped bring you up to speed on the reasons why Rocky Ridge stands alone in the world of custom-outfitted trucks, it is time to tackle the next big question on your mind: Which lift kit package is right for you and your F-150 or F-250 Super Duty? 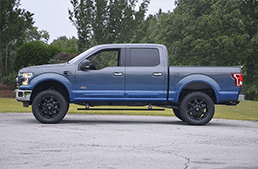 To put you on the right track toward answering this question, Big Springs Ford would like to offer up a quick recap of some of the premium features and upgrades found within each package for the Ford family of pickups. 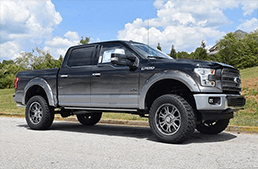 In an effort to channel the raw power and wild nature of K2, the "Savage Mountain" and world's second-tallest peak, Rocky Ridge has packed this custom lift kit package for the F-150 and F-250 Super Duty full of impressive premium features. If you are interested in truly harnessing your more primal nature, then having access to the bevy of powerful upgrades found in the K2 package, which include the following, is a must.